Leading In A Small Church? If you’re leading worship in a church with a weekly attendance that’s less than 200, most of the "typical" worship ministry challenges are multiplied. Your limited budget, equipment, resources, and people make leading a worship ministry even tougher. All of our coaches and trainers have all served in small churches at one time. We get your frustrations. Many of our resources can be adapted for your size church. And we also have special resources designed ONLY for small churches. Again, we want to help you do more with less. In fact, you’ll find that your size gives you advantages that big churches can only dream of. Arrange a full sound with just a few instruments. Create an engaging worship experience for your congregation. 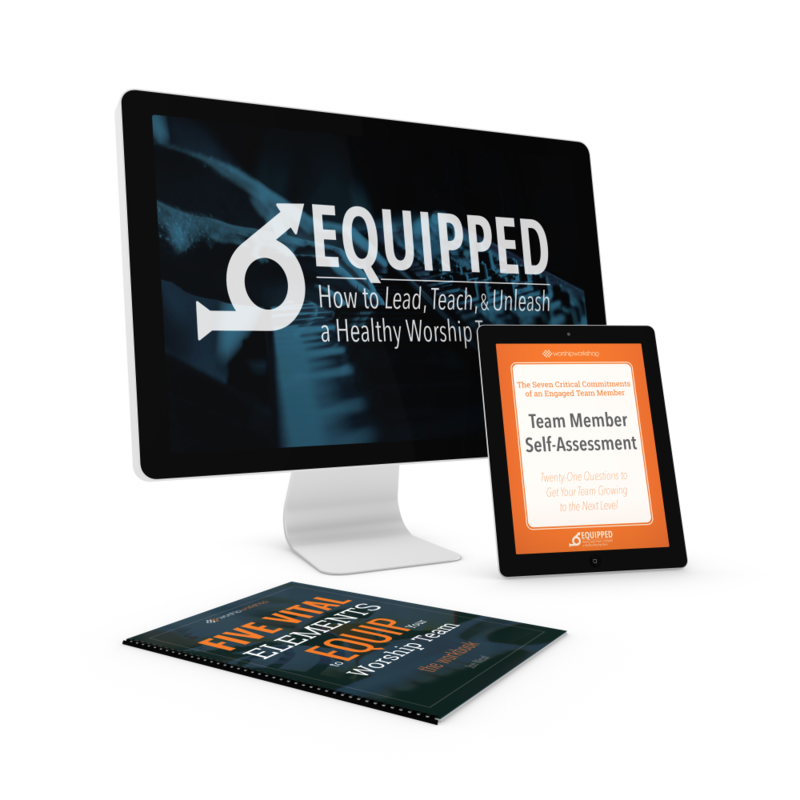 Lead your team from the dysfunctional to relationally healthy. The Small Church/Big Worship Course Opens Soon. Please check back or join the Facebook group to be notified. Learn how to do more with fewer resources. Create better behavior and shape culture with the right ministry systems. Delegate the work of ministry to other leaders and key team members. Build a culture that values preparation. Avoid the Sunday-stress of an unprepared team. Teach your team why practice matters, and how to show up to rehearsals on-time and prepared. Imagine being connected with a a vibrant community of almost 2000 other small church worship leaders. Over several years, we fostered the growth of a private Facebook group that’s exclusively for worship leaders like you. Inside of Small Church/Big Worship, you can share ideas and get encouragement from people who “get” what you’re going through. Need a Team Member Development Process?